for $275,000 with 4 bedrooms and 2 full baths, 1 half bath. This 2,497 square foot home was built in 2005 on a lot size of 0.17 Acre(s). 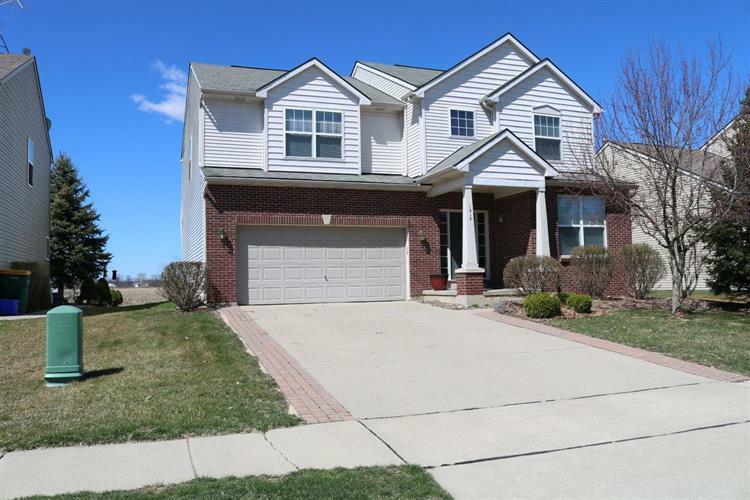 Come see this amazing 4 bedroom, 2 full, 1 half bath, with loft and 2497 sqft home in Meadowbrook sub. Hardwood floors throughout the entry, dining room, 1/2 bath, breakfast nook and kitchen. First floor also includes a living room and study. Kitchen has stainless steel appliances, including gas stove. 4 large bedrooms and a big loft on the upper level. Master has a humongous walk in closet, master bath with soaking tub, separate shower, and dual sinks. Basement is huge with egress window and plumbed for bath, just waiting to be finished. Backyard backs to a field for added privacy. Large patio is great for summer entertaining. Friendly neighborhood with a fun play area. Great location in the thriving small town of Milan, just short drive to Ann Arbor or Toledo, hospitals, shopping, anything you could want.